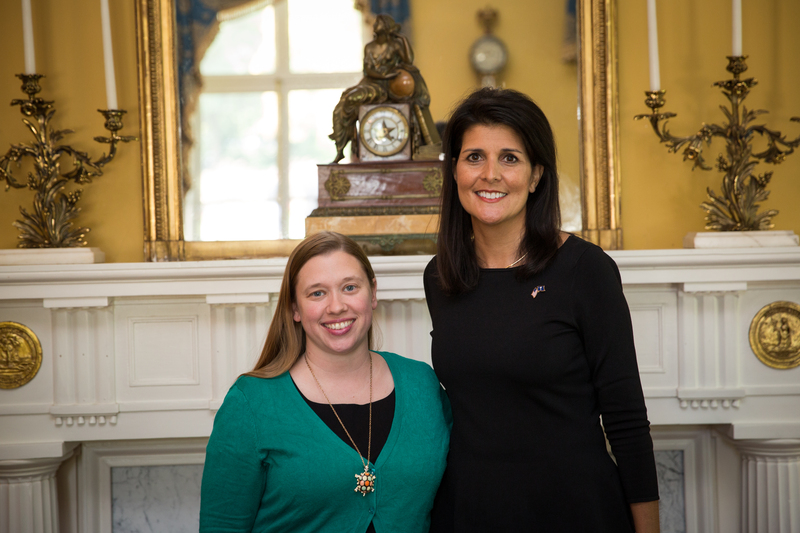 S.C. Department of Health and Environmental Control employee Rachel Radcliffe was invited to attend a public service recognition lunch with Governor Nikki Haley last month. Recognized for her exemplary customer service, she is dedicated to her work, leads by example, and serves as role model for all DHEC staff. Radcliffe leads the Surveillance and Outbreak Investigation Section in the Division of Acute Disease Epidemiology at DHEC. In her role as section lead she provides a vital role in overseeing outbreak and field investigations for infectious diseases in South Carolina. In addition to assisting with DHEC’s Ebola preparedness efforts, Radcliffe recently led an investigation of a bat infestation in a healthcare facility. An effective communicator and a team player, Radcliffe has and continues to help promote and protect the public health—keeping South Carolina prepared for potential public health threats. Holding both a Doctor of Veterinary Medicine degree and a master’s degree in veterinary public health, Rachel’s educational background and pragmatic experience plays an essential role in her daily tasks and responsibilities. Prior to joining DHEC in 2014, Rachel served two years in the CDC Epidemic Intelligence Service (EIS) Program as an EIS officer, and three years as a CDC career epidemiology field officer. Thanks to Dr. Radcliffe and all of the members of our Division of Acute Disease Epidemiology for your continued efforts to help protect the health and safety of South Carolinians. This entry was posted in Chronic Disease on August 7, 2015 by SC DHEC. August means back to school, and it’s also National Immunization Awareness Month. While you’re buying school supplies and planning to meet your child’s teacher for the very first time – don’t forget the most important item on your list: making sure your son’s or daughter’s vaccinations are up to date. Children in 5-year-old kindergarten and first grade are required to have two doses of chicken pox vaccine. The Centers for Disease Control and Prevention (CDC) recommends two doses for better protection against the disease. South Carolina 7th, 8th and 9th graders are required to have one dose of tetanus/diphtheria/pertussis booster vaccine. This booster vaccine is called Tdap. In addition, there are other vaccines recommended for adolescents, including vaccines to protect them against meningitis and HPV-associated cancers. Talk to your health care provider about these adolescent vaccines. Flu season is just around the corner! CDC recommends that everyone who is 6 months of age and older and can receive the flu vaccine should get the vaccine as soon as it is available. 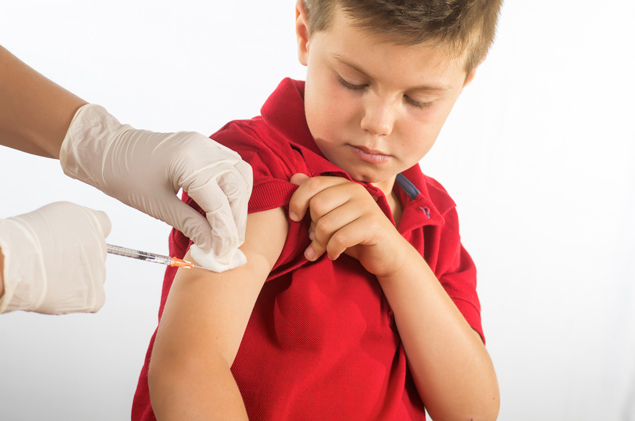 Stay tuned for more information about school-located vaccine clinics which will be offered this fall. Many illness outbreaks in schools and child care facilities are due to vaccine-preventable diseases such as flu and pertussis. Getting all required vaccines is important and is one of the most effective ways to prevent the spread of disease. Talk with your child’s health care professional to find out which vaccines your child may need. To locate the DHEC Clinic nearest to you, please visit our website. Frequent handwashing. Wash your hands with soap under warm running water for at least 20 seconds. Cover your cough with a tissue or the crook of your elbow – not your hands. Be sure to cover your mouth and nose. If using a tissue, throw it in the trash immediately and wash your hands. Stay away from others who are obviously sick. The best way to avoid them is by keeping a safe distance. Stay home from work, school and errands when you’re sick. You don’t want to make others around you sick. Live healthy. Keep yourself strong by eating properly, exercising, and getting plenty of rest. This entry was posted in Community Health, Prevention and tagged children, schools, vaccines on August 7, 2015 by SC DHEC. World Breastfeeding Week offers a perfect time to highlight the health benefits of breastfeeding. The annual observance, coordinated by the World Alliance for Breastfeeding Action, runs through Saturday. This year’s theme “Breastfeeding and Work: Let’s Make It Work!” focuses on supporting women who work and breastfeed. Whether a mother works in a formal, non-formal or home setting, she needs to feel empowered in her choice to breastfeed as it improves health for women and children. It also reduces risk of sudden infant death syndrome (SIDS), diabetes and obesity. Creating and supporting breastfeeding-friendly workplaces is part of SCale Down’s A Healthier State initiative. Employers can find a variety of communication and other resources for implementing breastfeeding-friendly environments here. This week has also been proclaimed National Women, Infants and Children (WIC) Breastfeeding Week by the U.S. Department of Agriculture. WIC is a supplemental nutrition program for moms, babies and children that also provides breastfeeding support and assistance. Breastfeeding peer counselors are available in WIC clinics throughout South Carolina. Find your nearest WIC location here. This week DHEC health departments statewide are celebrating the observance with a variety of activities including displays, pump demonstrations, classes and activities designed to educate all employees and customers about the benefits of breastfeeding. 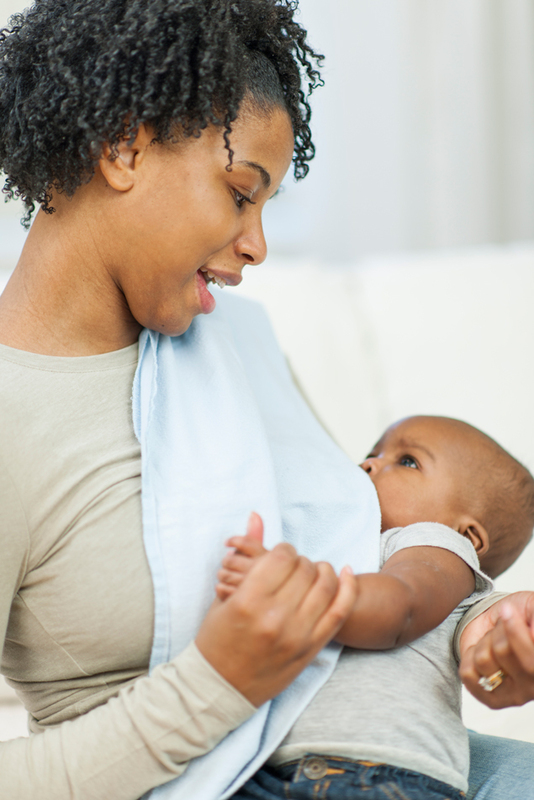 Learn more here about how WIC can help with breastfeeding. For general information about the benefits of breastfeeding, visit this page. This entry was posted in Maternal & Child Health and tagged breastfeeding, WIC on August 5, 2015 by SC DHEC.